Chico personal injury attorneys with over 40 years experience helping accident injury victims secure the compensation they deserve. The Law Offices of Lawrence A. Puritz is a personal injury law firm located in Chico, CA. Our accident injury attorneys represent victims who have sustained injuries due to the negligence of another party. Firm founder, Lawrence A. Puritz, has over 40 years of personal injury experience and is well prepared to represent those with nearly all types of negligence related injury claims. When you retain the Law Offices of Lawrence A. Puritz, our attorneys will advocate for your interests throughout the personal injury claims process. Unfortunately, some cases do not settle through negotiations with the insurance companyIf necessary, we will fight for your right to compensation all the way through trial. Whether your injury occured while you were driving, a passenger, a pedestrian, or a patient of a medical professional or facility; we can help. The Chico personal injury attorneys at the Law Offices of Lawrence A. Puritz have the knowledge, skill, and abilities necessary to succesfully navigate your case through the personal injury claims process. Secure the financial compensation you deserve. If you've been injured as a result of negligence in any of the above referenced accident types- we can help. Call the Law Offices of Lawrence A. Puritz and schedule a free personal injury consultation today. At the Law Offices of Lawrence A. Puritz, we understand that finding the right personal injury attorney is detrimental to the success of your accident injury claim. Whether you retain us or, opt to go with a different law firm, be sure that the personal injury attorney that you do hire is willing to take the time and put in the effort necessary to fully understand each element of your case. A personal injury attorney should be available (or have their legal team available) to answer any questions that you may have. That availability should remain in tact all the way through any personal injury settlement negotiations with the insurance company and, in some cases, past any judgment or settlement reached in litigation. If your attorney cannot take the time to keep you informed or alleviate any confusion or stress that you may have, there's a good chance that they will act similarly in regards to managing personal injury claim. Most importantly, when you retain a personal injury attorney make sure that they possesses the knowledge, skills, and abilities necessary to successfully navigate your case through the personal injury claims process. With over 40 years in practice, thousands of cases won, and tens of millions in damages recovered, the Law Offices of Lawrence A. Puritz is your best choice when selecting a Chico personal injury attorney. At the Law Offices of Lawrence A. Puritz, the client is always our first priority. Our attorneys always stand behind our clients and the work we do on their behalf. What sets the Law Offices of Lawrence A. Puritz apart from other Chico personal injury law firms? The answer is simple- experience. Experience gained by practicing personal injury law (on both sides of the docket) for over 40 years. Since opening our doors, the Law Offices of Lawrence A. Puritz has represented thousands of clients and secured tens of millions of dollars in personal injury compensation. Mr. Puritz's experience as a personal injury defense attorney has allowed him a rare skill set in negotiating favorable personal injury settlements not typically found in other personal injury law firms. That skill set has proven extremely beneficial to clients of the Law Offices of Lawrence A. Puritz. A comprehensive understanding of the personal injury claims process accompanied by a knowledgeable and assertive legal team make the Law Offices of Lawrence A. Puritz your best choice when selecting a Chico personal injury attorney. The staff at the Law Offices of Lawrence A. Puritz has over 20 years of experience in personal injury law and is always prepared to answer any questions you may have. We do our best to guide our clients through each phase of the personal injury claims process and alleviate any stress they may be having. That said, we are aware that filing a personal injury claim can be intimidating, especially if you are unfamiliar with the process. We understand that whatever the circumstances that have led a client to needing a personal injury attorney, in most cases, those circumstances have already caused a substantial detriment in their lives. With that in mind, each member of our legal team strives to treat our clients with a level of respect and dignity not commonly seen at personal injury law firms. Some personal injury attorneys see (and treat) their clients as a number or dollar amount, at the Law Offices of Lawrence A. Puritz we treat each client as the individual that they are. When you become a client at the Law Offices of Lawrence A. Puritz, you will be treated with respect and dignity. Our staff and/or legal team won’t ignore your calls, neglect your case, or treat you like a case number. We will answer any questions that you have and keep you informed for the duration of your case. We are your advocates and we work on your behalf 100% of the time. When you schedule a free personal injury consultation with the Law Offices of Lawrence A. Puritz, an experienced Chico personal injury attorney will meet with you to discuss and evaluate your case. Topics discussed generally include; parties involved in the accident, insurance claims information, facts of the accident, injuries sustained, a summary of medical care and expenses, any future medical care, income loss (past, present, future), and any issues relating to liability that may exist. With a better understanding of your case, our accident injury attorneys can advise whether retaining the Law Offices of Lawrence A. Puritz would be beneficial to your case. If our attorneys believe that you can achieve the same results or recover the same financial compensation by negotiating with the insurance company yourself- they will tell you. 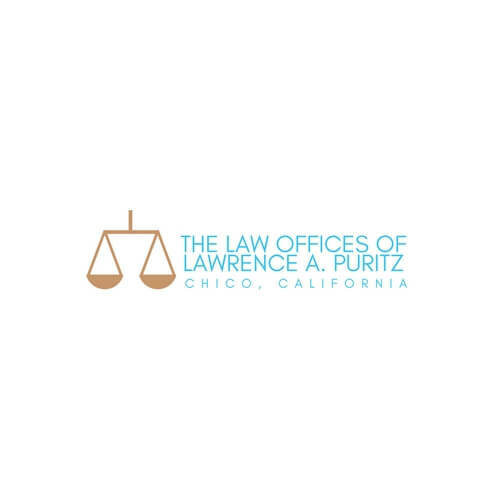 That said, if our Chico personal injury attorneys believe that hiring the Law Offices of Lawrence A. Puritz would be beneficial to your case, they will discuss how we may better your postion in securing a favorable personal injury settlement. In the event that an adverse insurance company is unwilling to negotiate fair compensation for your personal injury claim, your attorney must be willing (and able) to take your case to trial. The accident injury attorneys at the Law Offices of Lawrence A. Puritz have over 40 years’ experience in both the negotiation of personal injury settlements outside of court and, when necessary, fighting for clients rights at trial. At the Law Offices of Lawrence A. Puritz, we take pride in our preparedness and ability to protect a clients credibility in court. We do so by knowing, and having an answer to, any argument that an opposing attorney may attempt to introduce to create doubt or discredit a client’s character and, by extension, the validity of their personal injury claim. Call now to schedule a free personal injury consultation with the Law Offices of Lawrence A. Puritz. Or, if you prefer, simply complete the form at the bottom of this page and someone from our staff will contact you. If you've been injured through no fault of your own, you've undoubtedly experienced quite a bit of physical and emotional stress already. The personal injury claims process doesn't have to create more. Consultations are free- call to schedule an appointment today. If you prefer to contact us digitally regarding your personal injury accident, please use the form below. Please include any relevant facts that you believe will help our personal injury staff or attorneys gain a better understanding your case. Keep in mind that while this form and/or free consultation are confidential, neither establishes that the Law Offices of Lawrence A. Puritz is associated with your claim or case. You may also email us at puritz@sbcglobal.net or call our office at (530) 343-1614.